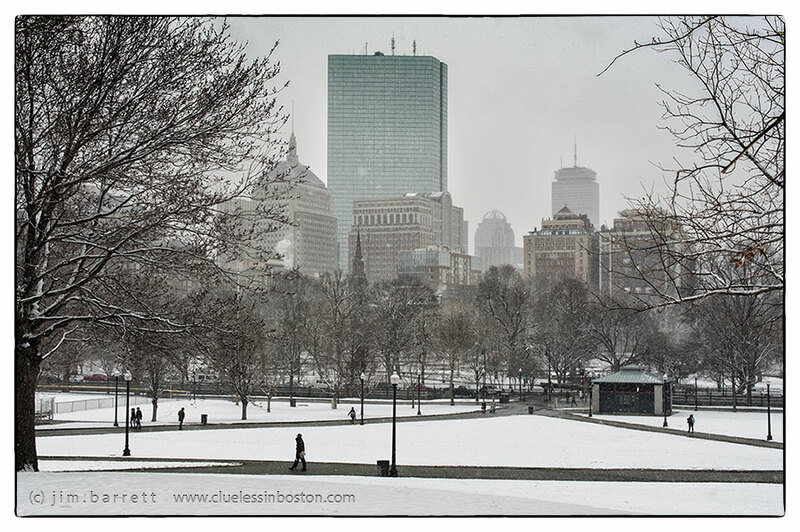 Looking west over the Boston Common Parade Ground towards the Public Garden. A perfect Boston landscape. We had a little snow but not this.